The search is on for a killer black mamba who bit a Parlock grandmother last Tuesday resulting in her death three days later. 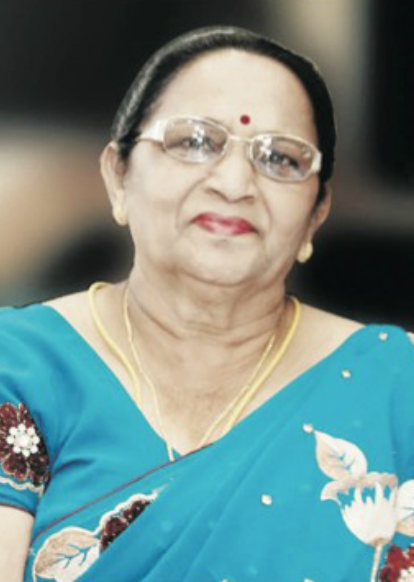 Saroj Naidoo (75), a mother of three, was eating her supper in the kitchen with the door ajar when unknown to her, an uninvited guest had slithered in. Speaking to The Weekly Gazette, Naidoo’s nephew and local community activist, Des Moodley, said, “My aunt was having her evening meal and was seated on a stool. She moved her foot and felt a sting on her ankle. “The anti-venom was administered about four hours later and my aunt went into cardiac arrest. She was placed on a ventilator and passed away three days later. The search is underway for the elusive black mamba, believed to be about 2.3 metres in length. “The family is devastated at losing my aunt in such an untimely manner. My uncle is shattered. He and my aunt Saroj were very attached to each other. You would never see them apart,” Moodley added. According to Moodley, various snake handlers were consulted and local patrollers from the Clare Estate Action Committee (CEAC) and KwaZulu-Natal Community Crime Prevention Association (KZNCCPA) assisted in trying to locate the venomous snake. He said the local substation was searched and eggs were found with a baby snake, believed to be a black mamba, also found on Monday. “I must commend the Electricity Department personnel who assisted us by shutting off the grid to allow a search for the black mamba. We are hoping to find it and have it relocated soon,” said Moodley. Snake handler and spokesman for KwaZulu-Natal Amphibians and Reptile Conservation, Nick Evans said he is aware of the incident that occurred in Parlock. “It is tragic that the elderly woman lost her life. Regarding black mambas, their nature is to slither away or flee rather than attack. However, if they are threatened they will attack. But their instinct is not to bite unless threatened or attacked. If bitten by a black mamba, seek medical attention immediately. Go straight to a hospital. The quicker you receive the anti-venom the better for you. If you spot a black mamba or are unsure about the species of the snake, it’s best to call a professional snake handler to manage the situation safely,” Evans added.